Make a move in 2019! 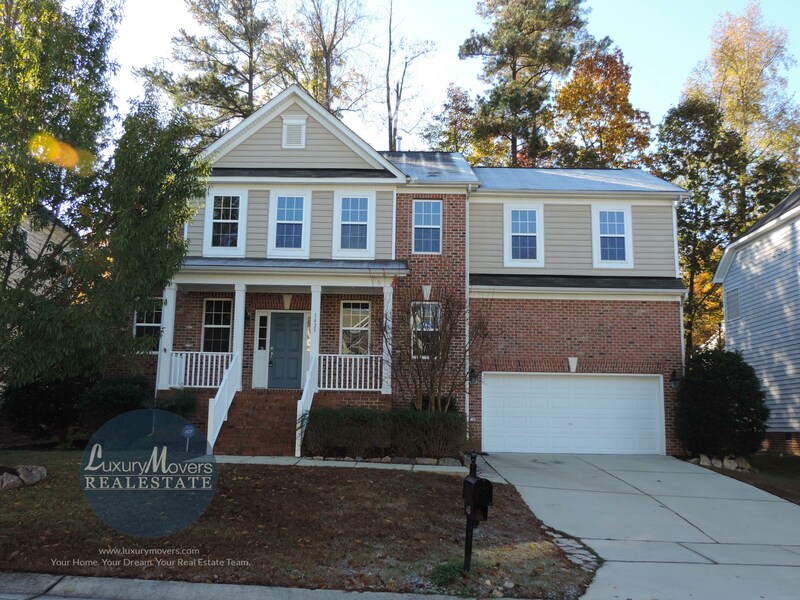 Gorgeous hard to find five bedrooms with bonus room in Wake Forest! First floor guest suite with its own bath, formal Living room/dining room, gourmet kitchen with island, cherry cabinets, stainless steel appliances and tile backsplash. Newly finished hardwoods, new carpet and new paint. Family room with a gas fireplace, gorgeous wainscoting and crown molding. Spacious bonus room, master suite with huge walk in closet and spa bath. Rocking chair front porch, deck and patio, close to shopping, restaurants, and walking/biking access to greenway! Open Saturday, January 5th, 12-3 p.m.
A video tour is available on YouTube. Directions to 1425 Lagerfeld Way, Wake Forest, NC 27587 can be found on Google Maps. Visit our agent this Saturday, January 5th, 12-3 p.m., and make your 2019 dreams come true! More pictures and information on 1425 Lagerfeld Way can be found on the MLS sheet,or contact us at info@luxurymovers.com or 919-424-1867.